Is There A Way To Reduce The Cost Of My Sage Maintenance? We are contacted often by users of Sage 100 asking how they can reduce or eliminate their maintenance costs. In short, there’s not a practical way to eliminate maintenance. However, we can recommend three ways to reduce the annual cost. Note: The product being discussed is Sage 100 ERP (aka MAS90 or MAS200). If you are using Sage 100 Contractor (formerly Masterbuilder) you should contact your Sage 100 Contractor partner for guidance or call Sage directly as this information does not apply to Sage 100 Contractor. Before we go over these options please consider the maintenance you pay to Sage as more of a licensing fee. Sure the maintenance entitles you to upgrades and support however the fee really funds your continued use of Sage 100 and ensures the product is maintained for future operating systems including Windows 10 as well as virtual environments (Citrix, Terminal Services, Virtual Servers). Remove some of your users. If you are licensed for 10 users, but only 5 are in the system at any one time then you only need to have a 5 user licenses. Sage’s licensing is presently for concurrent users (simultaneous people logged into Sage 100 at the same time) vs named users (each user name consumes a license regardless of whether they are in the system or not). Select a lower level of Sage Business Care. You can save 4% by moving from Gold to Silver Sage maintenance. You will give up unlimited calling and some other benefits. Talk to your Sage partner and see if this type of a change makes sense. Remove some of your modules. Are you still using e-Business? Visual Integrator? Job Cost? Some modules may have been purchased initially but no longer remain in use. 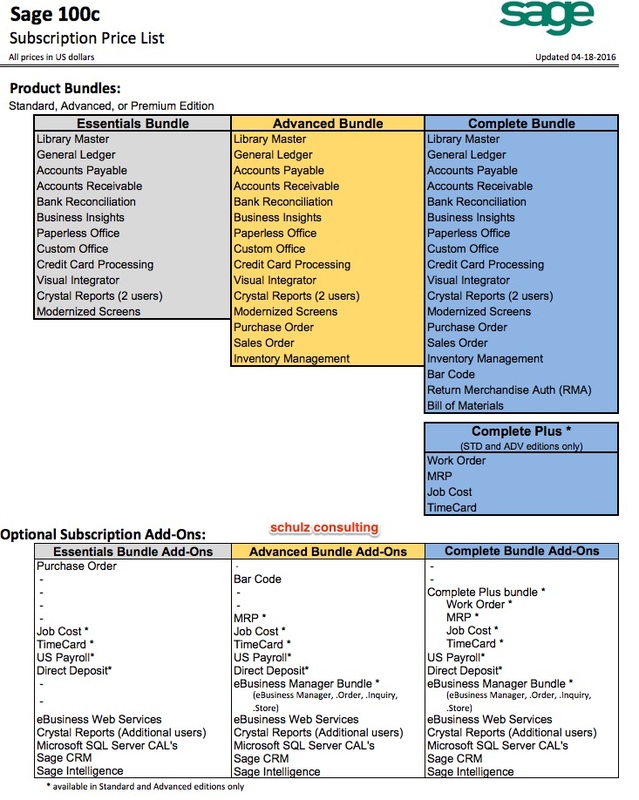 Removing these modules from maintenance will reduce your annual recurring fee. 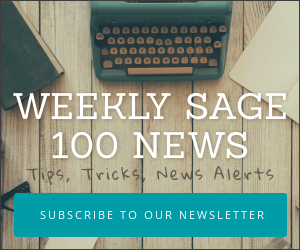 Consider a move to Sage 100c. 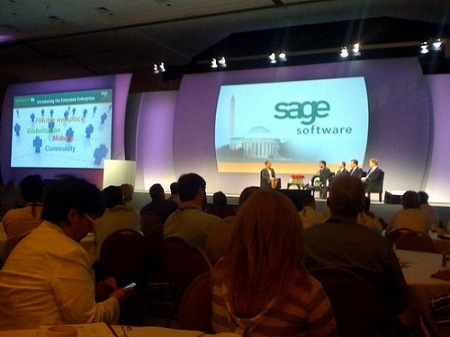 We’ve heard in some cases the cost for Sage 100c (sold only on subscription) can be less expensive. These situations typically involve cases where users are also licensing Sage Intelligence and Sage CRM users. Both of these licenses are bundled under certain levels of subscription. In most instances you’ll need to have your Sage partner do the math (we do this at no cost for our customers under Schulz Access Agreements, priced separately as a fixed project for those not on an agreement). You can also call Sage directly at 800-854-3415 and have this conversation with them though we advise that you should compare all available pricing to ensure the best choice is made.